While it’s not always the most successful trend, I’m rather fond of the way some TV series are expanding the scope of adaptations, with shows like Hannibal and Fargo telling original stories within the same fictional universe as their source material without being copycats. And if there is any justice in this world, we may soon be watching shows based on two of Exorcist director William Friedkin’s most crime-ridden films, 1985’s To Live and Die in L.A. and 2011’s Killer Joe. Because why the hell not? Talking with Movies.com, the 78-year-old Friedkin shared his disinterest in making a superhero movie, and that he is far more interested in working in long-form television than making any films at all. He raves quite a bit about Fargo and Ryan Murphy’s HBO movie The Normal Heart, and then drops the double-adaptation bombshell. “MGM is trying to develop a television series on To Live and Die in L.A.,” Friedkin said. “It won’t be that story at all, but it will be that vibe.” He goes on to say that he’ll have approvals on where it goes, and that he is interested in directing the pilot if he likes the script. 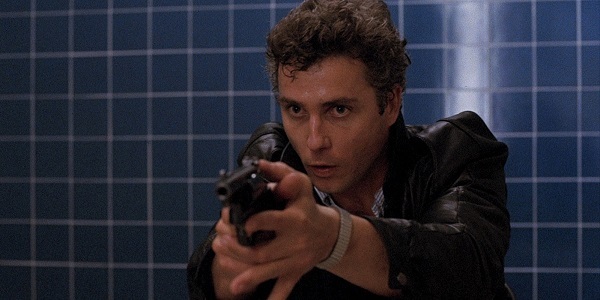 For those unaware, To Live and Die in L.A. is one of the most unmistakably 1980s movies in existence, and stars a curly-coifed William Peterson (CSI) as a rulebreaking Secret Service agent who aims to take down the counterfeiter (Willem Dafoe) that killed his partner. It’s a solid flick, don’t get me wrong, but the aesthetics, acting styles and Wang Chung soundtrack have not aged very well. It will be very interesting to see how this one is handled if it ever comes to fruition. 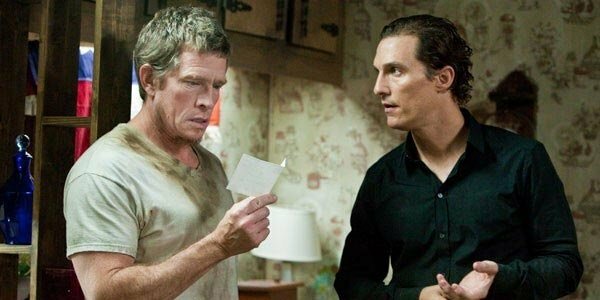 As for Killer Joe, he mentions that “it will not be the same story, but it will be very edgy, not unlike Fargo,” and that it may similarly be about a Dallas detective who lives the double life of a hitman. To me, Killer Joe was the genesis of Matthew McConaughey’s return to credible cinema, and he was pitch perfect as a slightly perverted, no-nonsense killer whose patience for the moral-free Smith family – made up of Thomas Haden Church, Gina Gershon, Juno Temple and Emile Hirsch – grows increasingly sour as a murder-for-insurance plot goes awry. Twisted but also darkly comedic, it was quite unlike anything else in Friedkin’s career, perhaps because it began life as screenwriter Tracy Letts’ acclaimed play. The Academy Award-winner is busier than ever, apparently, and he also has an unknown project being worked out with HBO. Maybe a French Connection series? Doubtful, but not impossible, as these potential series have shown us. How do you guys feel about it?